Have you ever looked at your practice Facebook or other social media page and found that one of your patients’ has given you a bad review? Even in a well-run practice, mistakes can be made that lead to a poor patient experience – and a resulting complaint. The key in this situation is knowing how to interact with an angry or disappointed patient in a way that turns a rant into a rave, a bad review into a good one. This article will cover the steps a practice can take to handle a bad review, make the situation right for the patient and ensure that future patient experiences are positive. Let’s start with an example from our practice. It can be frustrating and upsetting to read a review like this, especially after working so hard to set up a well-run practice. Fortunately, we were able to turn this situation around, as I will show you later in this article. First however, let’s talk more about bad reviews. The average dissatisfied customer will complain to between 9-15 people about their bad experience – and 13% of them will complain to more than 20 other people, White House Office of Consumer Affairs. For everyone 1 customer who complains, there are approximately 26 others who have a complaint but do not voice it, Lee Resources. In short, bad reviews can spell big trouble for any practice. So let’s take a look at the ways in which it’s possible to turn negative customer experiences into positive ones – and to avoid bad reviews in the first place. When you get a bad review, one of the most important things to remember is that your own reaction is crucial. In his book, The 7 Habits of Highly Effective People, author Stephen Covey notes, in discussing Habit 5, that it is essential to “Seek first to understand, then to be understood.” Good communication is essential to running a good practice. And the first step in this is listening without reacting right away or getting angry and defensive. These feelings may be natural, but they are not useful and ultimately will not help to diffuse the situation. Covey notes that most people listen with an intent to reply. They tend to form their responses in their mind while the other person is talking – causing them to not pay attention to what the person is saying, listen selectively or simply misunderstand. 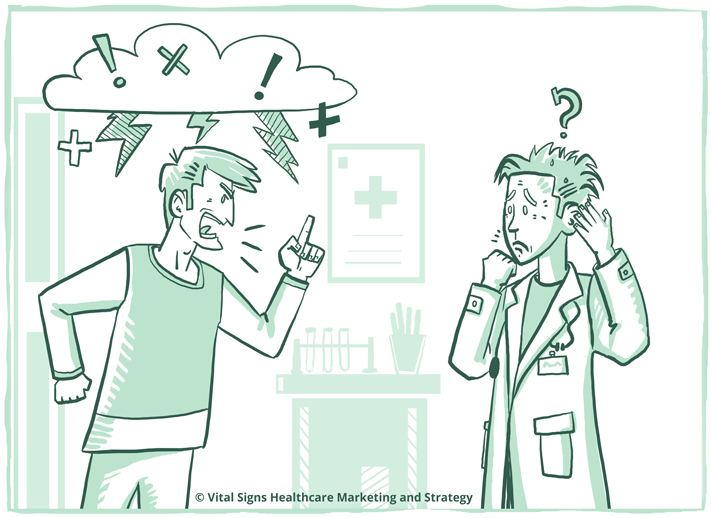 To help avoid this, try to listen actively and ask questions to clarify the problem if needed – this will help you deal with a patient who has been dissatisfied with the services at your clinic. Whether you are with your patient in person, over the phone or through emails, Covey recommends listening with the intent to deeply understand the other person. Listening helps you to understand the actual situation that caused the problem to begin with (which is the first step to coming up with a solution). It can also help turn the negative patient experience into a positive one if the patient is simply given a chance to air their grievances and know that they are talking with someone who cares. Cultivating Covey’s skill of listening with the intent to understand can help improve situations which arise when a patient is complaining not because of the service at the practice but because of a bad outcome they have received. A good example of this at our practice is a patient who has come in for an early pregnancy scan incredibly excited only to discover the heartbreaking news that the pregnancy was not viable. Later, that patient may call up feeling angry, frustrated or frightened and take it out on myself or practice staff members. In this case, we simply allow the patient to get some of these emotions out which helps diffuse the situation. The fact is, most people understand that even a well-run practice can make mistakes. Once that mistake is made and has been acknowledged – then the issue becomes how you are going to make it up to them. As important as they are, active sympathy and good communication are not enough. Once the cause of the patient’s unhappiness is understood, it is vital to come up with ways to make up for the mistake (whether it was your fault or not) – and make your patient happy. Note that, in the letter we sympathized with her bad experience. 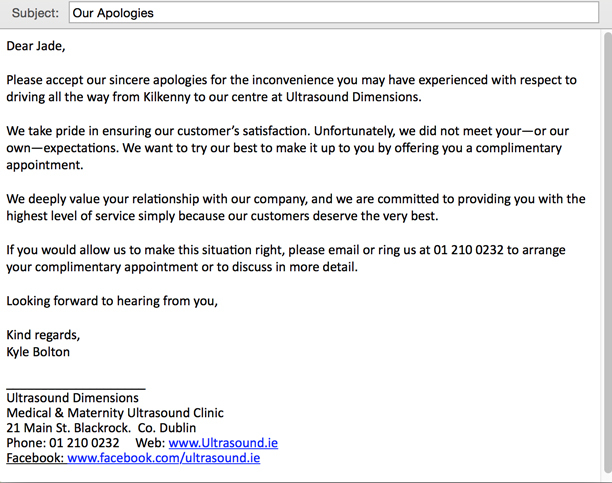 Then we offered a concrete solution to the problem: in this case a complimentary visit to our practice. What Does Our Refund Policy Cost? That may seem like a lot. 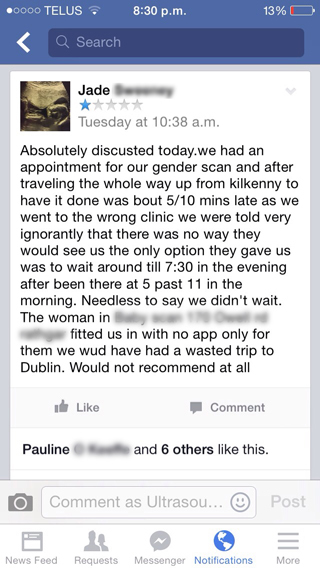 However, if we had not refunded them these patients might very well have left our practice and not returned. If the White House is right, those 63 patients could have told between 9 and 15 people each about their bad experience at our clinic. Imagine 630 people out there with a negative view of our practice! We found that a simple refund was much less expensive than all that bad publicity. It’s important to have a clear refund policy written out. This way when a frustrating situation arises where you might need to offer a refund the policy is right there at your fingertips. Simply follow the procedure, leave your emotions out of it and move on with your practice. Communicate with the patient after the problem has been solved to make sure that they are satisfied. As Bill Gates said, you truly can learn a lot from patients who are dissatisfied with you and your service. Do not back away from this issue, even if it feels uncomfortable to deal with a very dissatisfied patient. Since your patients do not tell you everything about their experiences, it is a good idea to keep your ear to the ground. If your practice has social media accounts like Twitter or Facebook, stay active and check in with them frequently. Find out what sites your patients frequent and participate (or at least monitor) those particular online communities. Use monitoring tools such as Google Alerts or Social Mention, which alerts a practice when they are being discussed online. How Do You Avoid a Bad Review in the First Place? It is important to keep in mind that, even when you are trying your very best to ensure that the patient has a good experience, some people will just never be satisfied. GrooveHQ notes this and states plainly, “You can’t please everyone, sometimes you just have to fire a bad customer”. In other words, sometimes it is best to simply offer the patient a refund and refer them to another practice. This admittedly is not an ideal situation – but it does happen. The takeaway here is that even in a good practice, there are going to be mishaps and the potential for bad reviews as a result. However, instead of seeing this as an insult or becoming defensive, with the right skills, you can turn this situation to your advantage and see it as an opportunity to let your clinic shine. Actively listening to the complaint, reassuring the patient, and most importantly, coming up with a concrete solution to the problem is a winning combination to help turn rants into raves and actually enhance the reputation of your practice. 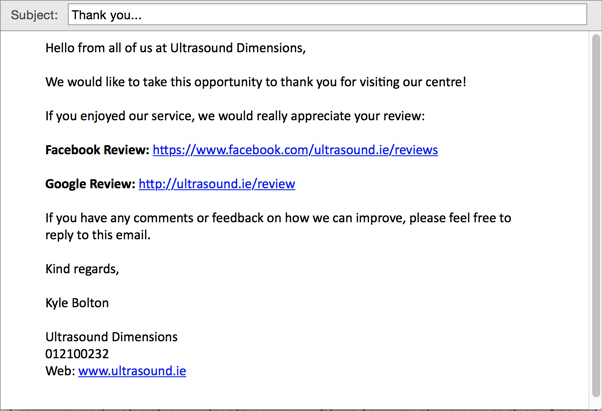 Have you received any bad reviews? What are some of the ways you’ve been able to handle and turn these tough situations around?